The creation of this striking bronze began just like many other Tim Huhn’s, with an established and meticulous workflow. While the original Unknown Worker went through many study phases until it was refined into the emblematic piece it is today, the bronze started out as a grayscale version of the painting, which was scaled and subsequently printed as a reference for the final sculpture. The next step was to form the internal aluminum armature in order to support the clay-work. As expected, this structure closely resembles the concept of a human skeleton, giving the sculptor a general idea for the pose and volume of the piece. Once these aspects have been determined, a layer of thinner wire is wrapped around the skeletal shape in order to provide a stable surface area for the clay to be worked on. 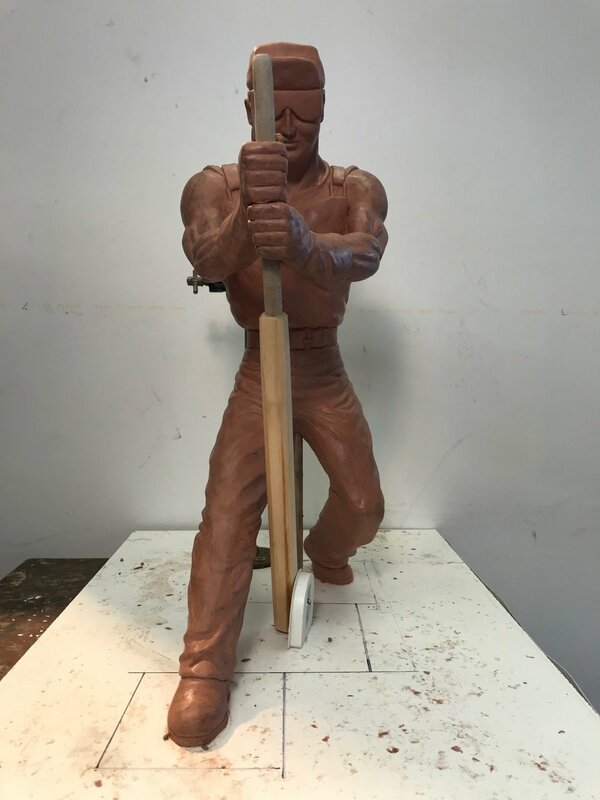 Unlike water based clays, the plasticine oil clay used for this step does not fully dry, allowing for the artist to make modifications throughout the whole piece as it develops. Once the correct clay volume has been reached for the piece, the detailing phase begins. This stage goes through both, additive and subtractive processes. In other words, extra clay is added, as well as removed from certain parts in order to create the extraordinary depth and textures all around the piece. Once every detail is just right, the clay sculpture is ready to start the molding phase. 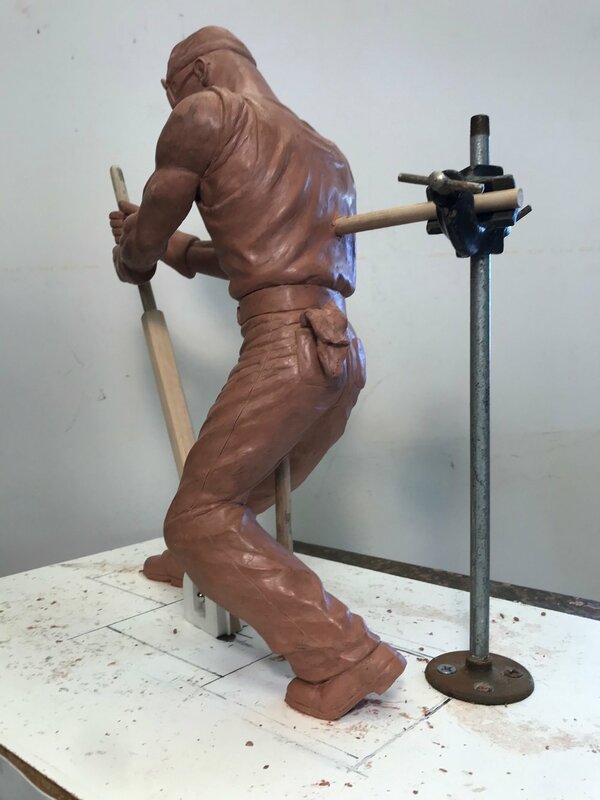 At this stage, the clay sculpture goes to the bronze foundry where the rubber molds will be made. Because of the complexity of this sculpture, Tim Huhn worked with Genesis Bronze located in Paso Robles, California; their reputation for artistry and attention to detail is unparalleled, and Tim knew that they would be able to cast the strength and integrity of “The Unknown Worker” with the right patina finish. Depending on the complexity and anatomy of the sculpture, separate molds will be created for different parts of the sculpture. In the case of Tim Huhn’s Unknown Worker, the arms, rod, gears and other small details such as the rag in the back pocket were all casted separately in order to ensure a perfect mold impression. This first mold is created out of rubber. During this process, a system of keys is placed in order to keep every layer consistent. Once this stage is done, a fiberglass mother mold is created around the rubber in order to increase its structural stability and prevent the rubber from shifting or deforming. This shell resembles a clam like structure with a parting line in the middle which is later separated in order to reveal both halves of the rubber layer. This is done separately for all the limbs and accessories which were casted separately as well. 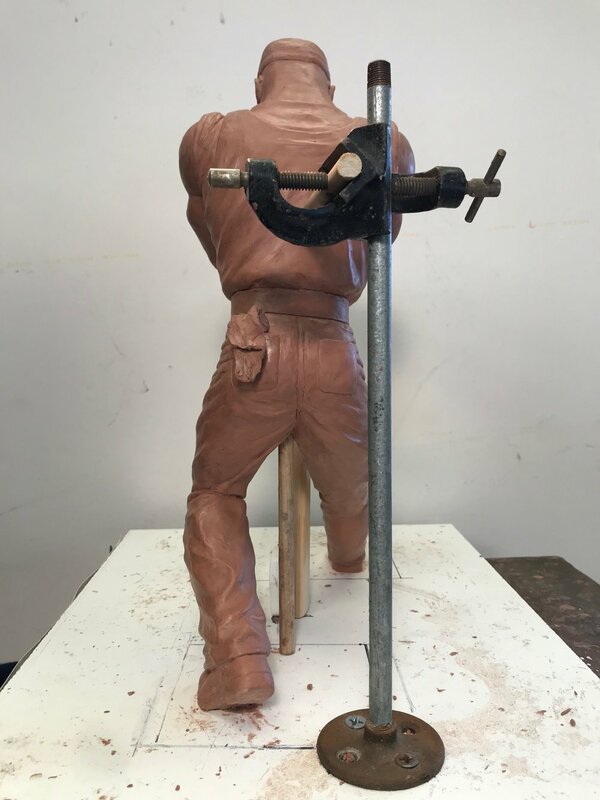 Once all the pieces are ready, a “positive” version is created from the rubber by pouring melted wax in a series of layers until the desired thickness is reached. after this layer dries, the rubber mold is removed and a midpoint detailing process takes place. The purpose of this stage is to ensure that all contours and shapes are true to the original clay. The next step consists of beginning the spruing process which is a system of rods applied to the wax pattern. Next, a series of layers of a silica sand and slurry mixture are applied in order to add enough strength for the mold to withstand the temperature from the bronze (these can reach 1800° to 2100° Fahrenheit!). The bronze casting process is often referred to as “Lost Wax.” This is because during this step the wax inside the mold is melted away. 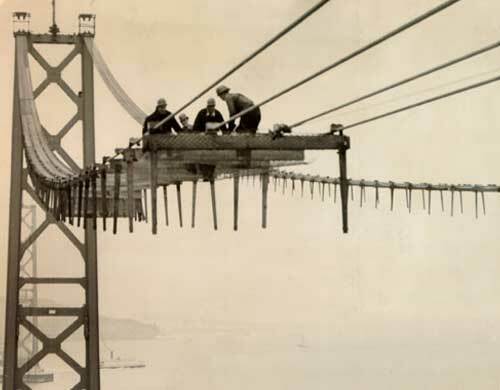 Finally, we get to the pouring of the bronze, a step during which planning and expert knowledge are imperative. This will allow for the optimal flow of bronze in the sculpture thus accurately replicating even the smallest details. Once the bronze has solidified, the outer molds are carefully removed to reveal the sculpture. Lastly, don’t forget that all the separate sections still need to be welded together and sandblasted in order to remove any last materials and residue attached to it. At this stage, the sculpture is ready for the patina to be carefully applied and mounted to the final base. When the casting is ready for the patina, the casting is then sandblasted so that the surface is clean and even. The casting is then put into a bath of C22 antiquing solution that darkens the metal to a dark grey nearly black color giving the sculpture its base coat of tones for contrast. After rinsing the sculpture with water, a soft industrial scotch-bite pad is used to polish the surface of the sculpture while leaving the recessed areas dark, which creates contrast and helps develop the forms. At times if too much of the dark patina is removed in the polishing, a small brush is used to to paint back in the dark recesses with the original chemical wash. At this point the sculpture has an antique brass look and is left to thoroughly dry. There are lots of different chemicals to get a variety of final color patinas; for copper alloys, such as bronze, exposure to chlorides leads to green, while sulfur compounds tend to brown. In the case of Tim Huhn’s “The Unknown Worker” a deep reach brown with polished brass highlights was desired, so Ferric Nitrate was used to achieve the final patina. In order for the chemical color to bond to the surface of the casting, the sculpture needs to be evenly heated with a blowtorch. While bolted to a metal turntable, the ferric nitrite is put into a large spray gun and is the sprayed onto the casting while rotating it to maintain an even spray. The sculpture is then heated more and the color begins to change. This process is continued until the right color is achieved. It is left to cool down, but while it’s still warm a paste wax is applied to the whole piece using a large soft brush. Once the sculpture is completely cooled down, the last step is to polish the piece using a soft cotton buffer to enhance the luster and sheen in the finished sculpture. 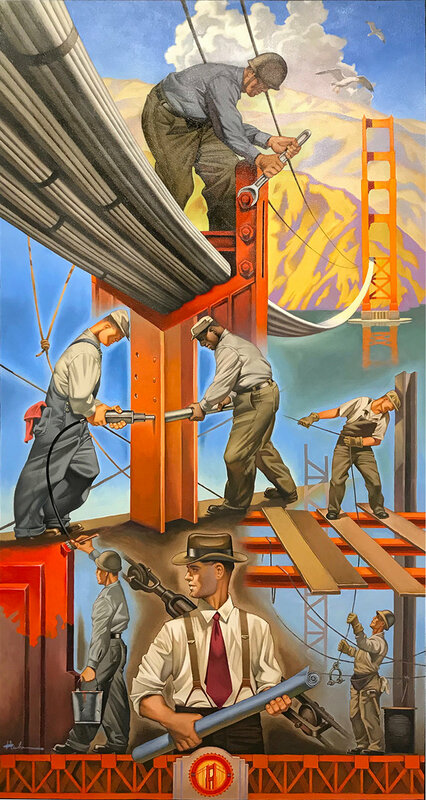 Craftsmanship, integrity and determination are just a few of the core values which Tim Huhn’s “The Unknown Worker” stands for. With such a tenacious and resilient inspiration behind the original oil painting, it became an ideal concept to develop a bronze sculpture. The physical and raw nature of this piece’s composition perfectly lends itself to a tangible and solid sculpture format. This striking piece has introduced a new dynamic element into Tim Huhn’s body of work and elevated the legacy of his work by immortalizing “The Unknown Worker” on bronze. A special thanks to Genesis Bronze for helping bring Tim Huhn’s vision of “The Unknown Worker” to life in this exceptional sculpture. 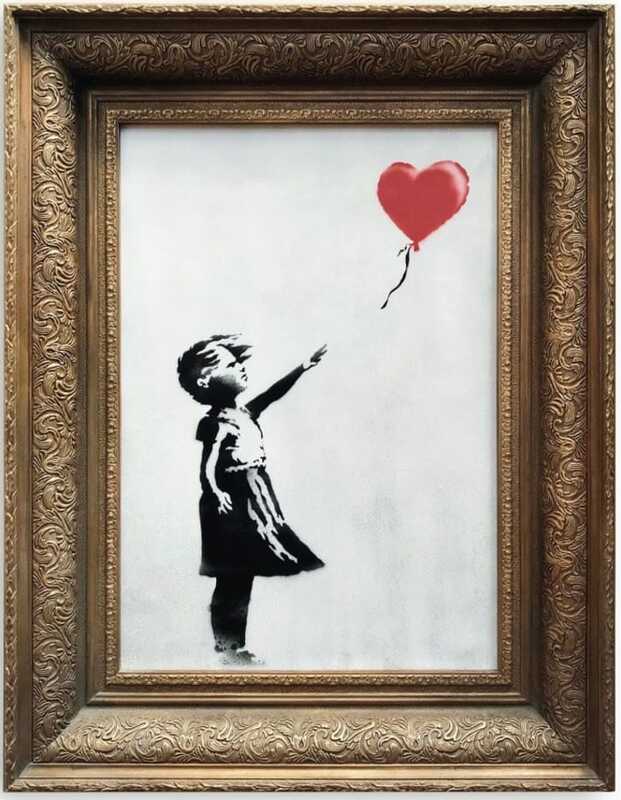 It is no secret that artists throughout history have experimented with numerous styles and mediums. Going all the way from pallet knife painting to numerous oil glaze layers. Experimentation is key in order to achieve excellence and uniqueness. In the case of Edgar Degas’ work, we can observe the exploration of photography, drawing, sculpture, and pastel, among many others. For Degas, sculpting held the same significance as drawing. They were all just “different ways of thinking, modeling one another.” Most of Degas’ sculptures never saw the light of day as he only had one public show for them during his career. These sculptures were meant to explore and discover new ways to interpret his preferred subject: Dancers. His life work and study of movement and dance hold a great degree of significance in art history and the development of the Impressionist movement on the 19th century. Experimenting with other mediums is not just about finding one’s style or creating innovative art. It’s also about exploration of form and dimensions. Breaking out of the boundaries of a two-dimensional canvas into the space of a sculpture brings out new elements and challenges in a piece of art. Just as Degas said, sculpting is simply a different way of thinking, modeling drawing. This new perspective adds unique knowledge to an artist’s skillset, which they can later integrate into their two-dimensional work. For Degas and many others, studies, of shape and movement, regardless of the medium are essential to a developed and refined body of work. Fast forward 200 years, artists are still delving into concepts in a three-dimensional space in order to explore and observe them from a different angle, literally. 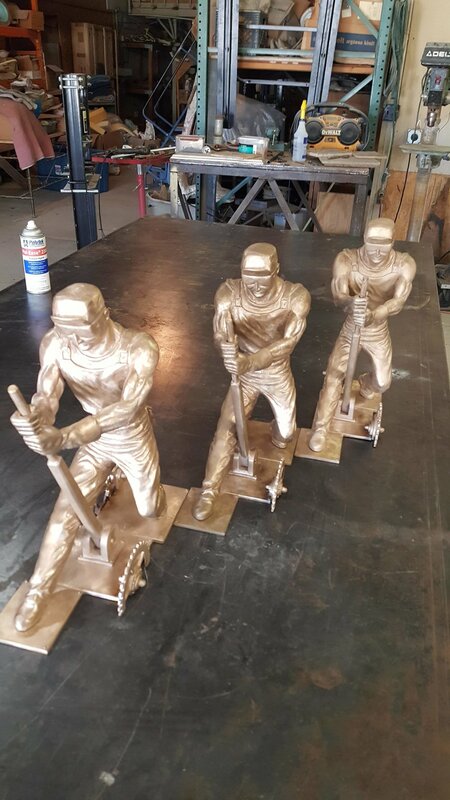 One of these artist being our own and beloved Tim Huhn, whose latest project is a bronze rendition of “The Unknown Worker” one of the most powerful pieces in his body of work. 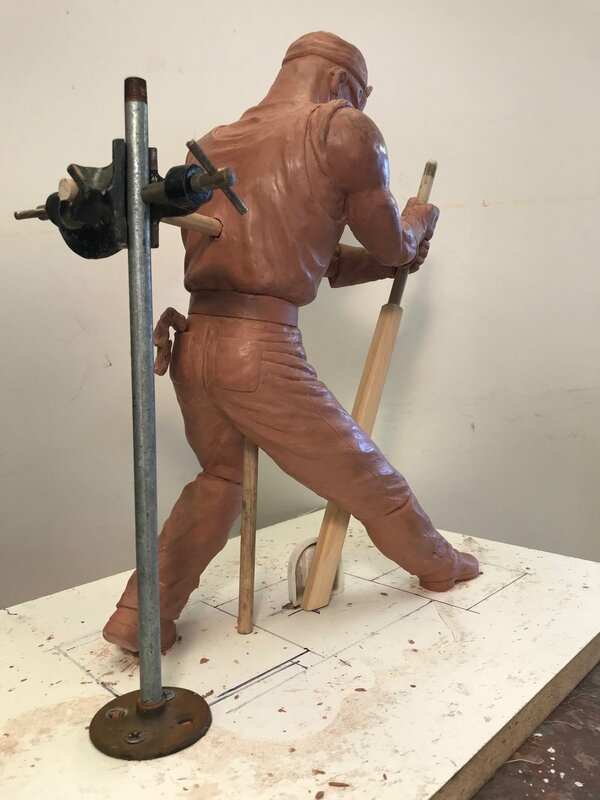 This piece is currently being developed in partnership with master sculptor Phil Houser, who’s widely recognized for his commercial work in the film and toy industry. His expertise paired with Huhn’s established and compelling style could only result in a truly remarkable and vigorous sculpture. Integrity and work ethic are just a few values which stand at the forefront of this monumental piece. These motifs are seen all throughout Tim Huhn’s body of work. Just like his artwork represents progress and the advancement of society as a whole, the development of this bronze series is a rightful and fulfilling step in the evolution of Huhn’s vision. Furthermore, its physical and strong style perfectly lends itself to a bronze portrayal, which incorporates a uniquely tangible element. Dior has taken their men’s show on the road to Tokyo, just like Valentino did earlier this week. Kim Jones’s collection for Dior mens was a space-age display of saddle-bag fanny packs, silk tuxedos, and turts from the future. All very nice; well done, Kim Jones. But the star of the show was not a look, model, or celeb sitting in the front row (sorry, Kate Moss and David Beckham). It was a giant female robot at the center of the stage, towering over an army of hypebeasts. Who is she? 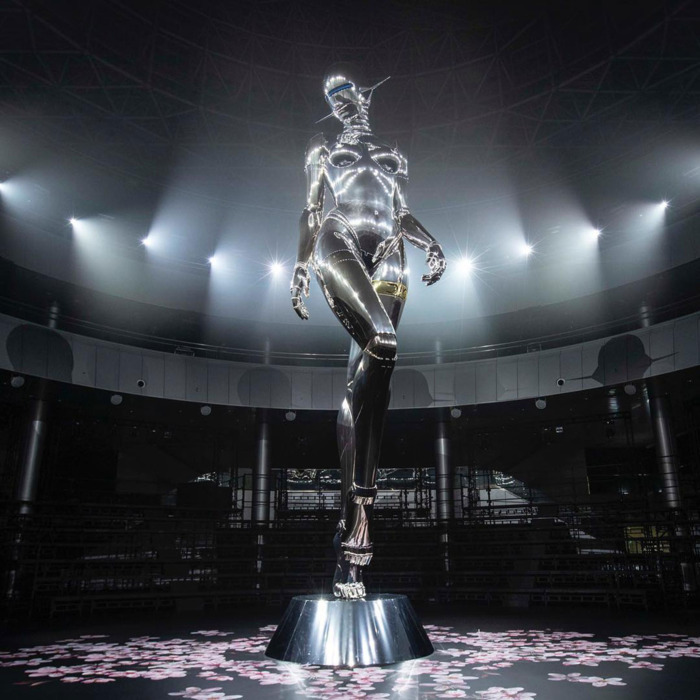 The robot was designed by Hajime Sorayama, a Japanese artist whose specialty is drawing buxom robots, superheroes, and Hollywood sirens as robots. The robot at the Dior show had no name, but she had a thigh-tattoo that read “Dior.” Her army of men marched around her wearing their finery, but she was denied the opportunity to wear Dior clothing. We hope the unnamed female robot will sign a contract with Dior and soon show up in ads with Jennifer Lawrence, perhaps while horseback riding. Plein Air On The Go! 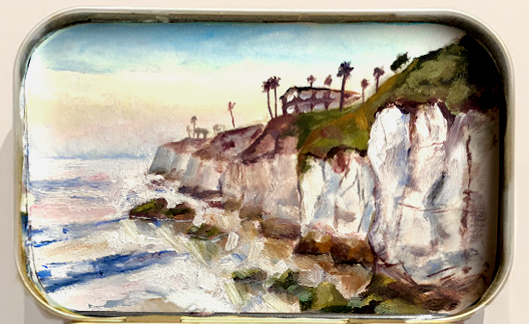 Matthew Betancourt’s clever take on Plein Air brings a fresh and fun element to our collection at Just Looking Gallery. His unique body of work consists of original Plein Air oil paintings ingeniously housed in Altoids Tins. All pieces are available museum mounted in a float frame. California born and raised, Matthew Betancourt cannot remember a time when art wasn’t at his core. The self-taught artist recalls coming late to the dinner table for drawing the family cat on the stairs and being removed from high school English class for his elaborate desk doodles. Art remained his hobby until he won first place in Santa Maria City’s 2017 utility box contest just after receiving a BS in Biomedical Engineering in San Luis Obispo. Now, residing in Bergen, Norway with his wife, he is focused solely on developing his artwork classically, drawing inspiration from Rembrandt and Odd Nerdrum. While portraits and figures are his most personal works, his coined “MiniTins” are cherished little tokens of the places where he finds peace. Matthew’s approach to painting not only speaks to the unique charm of the Central Coast and San Luis Obispo; it also serves as a constant reminder not to take ourselves too seriously and appreciate the beauty in the small things in life! Often referred to as "The Smoker," this sculpture was actually an extremely rare bronze casting of a JC Leyendecker piece that was created for the New York menswear company Cluett Peabody & Company in the 1920's. 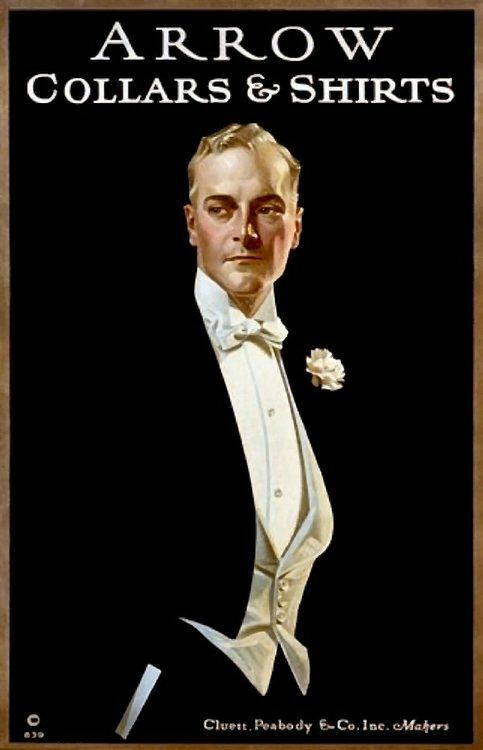 Known as "The Arrow Collar Man," JC Leyendecker created an advertising campaign for Cluett Peabody & Company, which epitomized the ideal of male class and sophistication. 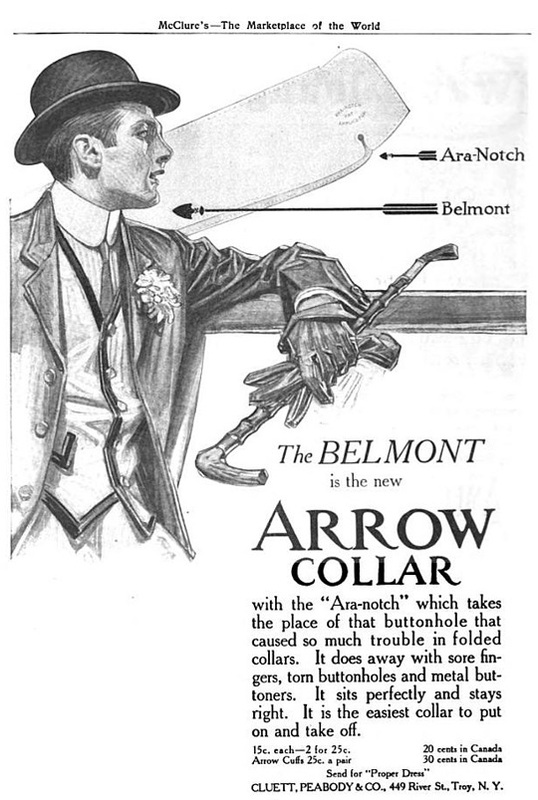 With JC Leyendecker, the company created a series of countertop sculptures that were displayed in department stores as a means of promoting Cluett Peabody & Company's shirts and detachable shirt collars, known as the Arrow Collars. Weighing in at 20 pounds, this solid bronze sculpture measures 17.5" tall, is in perfect condition and looks just as dapper as the day he was cast! 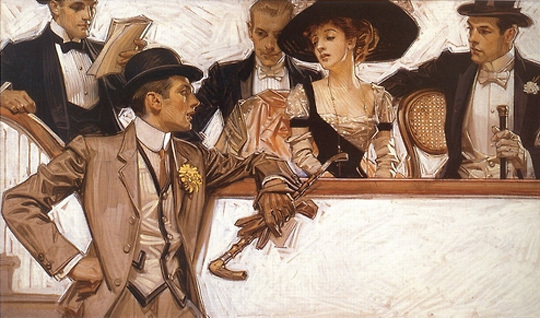 Few American illustrators have had as much impact and success as JC Leyendecker (1874–1951). His paintings and illustrations for the mass publications of the early 20th century created sophisticated and highly successful American Illustrated Icons such as the “Arrow Collar Man” and the Saturday Evening Post’s “New Year’s Babies.” Leyendecker’s work and particular style went on to inspire many other highly popular illustrators of the era such as Norman Rockwell. As a graduate from the Chicago Art Institute, and the Colarossi and Académie Julian in Paris; Leyendecker revolutionized the illustration and advertisement industries, both of which were seamlessly integrated into his masterpieces. Wonder Bread truly revolutionized America's shelves and kitchens when it was first introduced to the market on the 21st of May, 1921. Ever heard of the expression "The Best Thing Since Sliced Bread"? Well, Wonder Bread was the FIRST pre-sliced loaf sold in the 1930s. Its undoubtedly iconic and timeless logo was partly inspired by the International Ballon Race at the Indianapolis Speedway; and to this day, it remains engraved in the minds of millions of bread loving Americans. 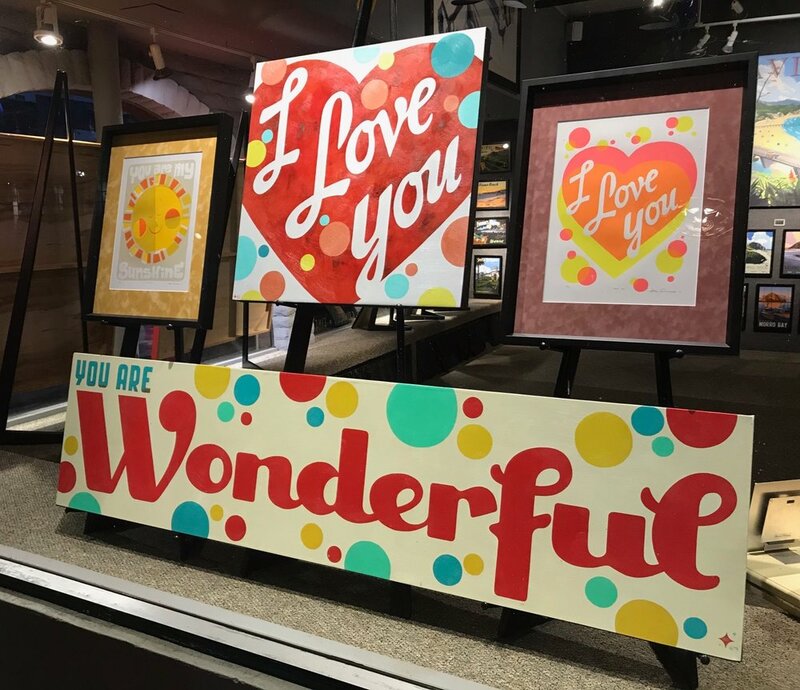 Aaron Eskridge's witty and clever humor shines through his latest piece "You Are Wonderful." Here, Eskridge makes use of the nostalgic Wonder Bread colors, while also introducing a refreshing new perspective from his own artistic vision. Featuring a genuinely warm and optimistic message, "You are Wonderful" also serves as a pleasant reminder that, even at our lowest points we must always remember the wonders that exist in each one of us. So, who is Donia Nachshen? Born in the city of Zhitomir (current day Ukraine) and later settled into London; Donia Nashchen quickly established herself as a successful book illustrator after graduating from the Slade School of Art. Her early career, which mostly consisted of book illustrations, includes the works of world renowned authors such as Arthur Schnitzler, Anatole France, and Oscar Wilde. 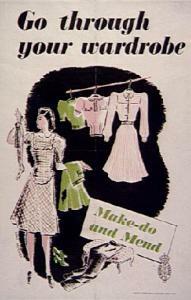 Once World War II hit Europe, Nashchen gravitated towards illustrating posters for a number of campaigns, including the "Make Do and Mend" Campaign, ran by the British Board of Trade. Nachshen's talent and passion for her craft become apparent by the continuation of her book illustration career, even with WWII right at her doorstep. At Just Looking Gallery we ran into an interesting connection to Donia Nachshen when two of our clients turned out to be related to her. Nachshen's Art Deco style very closely resembles the style of various artists at our gallery, including Steve Thomas' Travel pieces and Tim Huhn's WPA paintings. Who is Eichler and why "I Like Eich!" Eichler houses, found throughout Northern and Southern California (and even outside of New York City), are some of the most celebrated tract residences in the United States. Built by a company founded by Bronx-born Joseph L. Eichler (1900-1974), the homes were constructed between 1949 and 1966 and brought midcentury-modern design to the masses through tract houses constructed in postwar residential subdivisions. 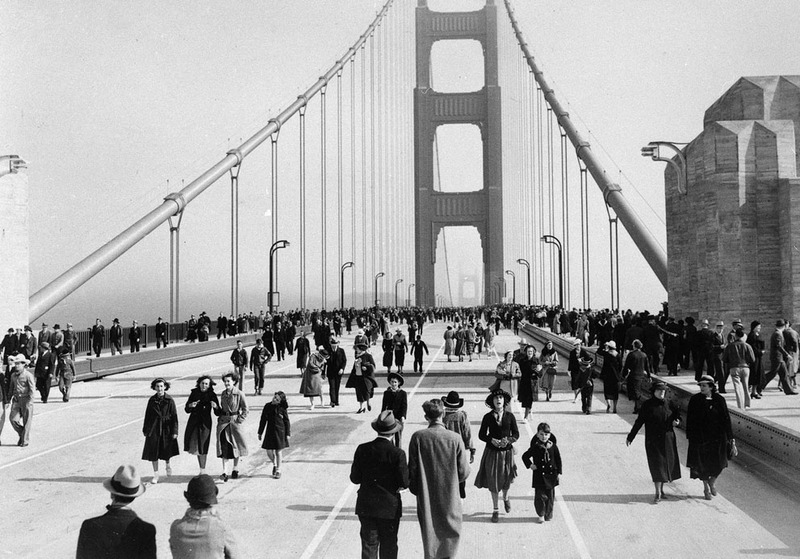 The style came to be known as "California modern:" a local, nature-inspired take on the architectural principals of modernists like Mies van der Rohe and Frank Lloyd Wright. 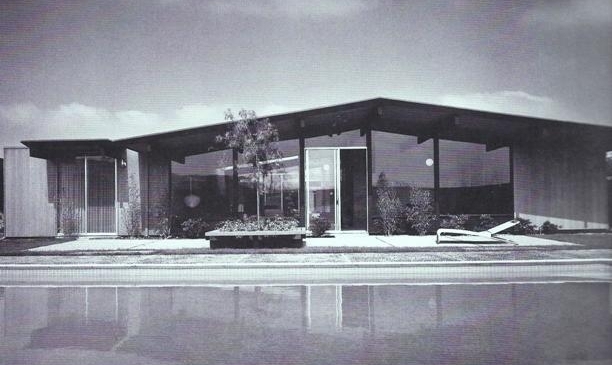 With flat or low-slung gabled roofs, an emphasis on low, horizontal forms, and few (if any) windows, Eichler facades were initially seen as unconventional, but the light-filled interiors with skylights, floor-to-ceiling windows, and private outdoor rooms and gardens quickly caught on in California. Artist and Illustrator, Aaron Eskridge, also shares California's enthusiasm about Eichler's work. As a clever play on the 1952 Presidential Campaign "I Like Ike" for Dwight D. Eisenhower, Aaron Eskridge has created a series of "I Like Eich" paintings and hand pulled serigraph prints. Eskridge's series showcases his appreciation for Eichler's design style, and the impact it had in the modern architecture industry throughout the United States. We were recently introduced to the gorgeous plein air art of Jeremy Harper and we immediately fell in love with his brush work, colors and of course Central Coast subject matter. Harper was raised in the beautiful Santa Barbara where he developed his artistic ability attending local art schools. 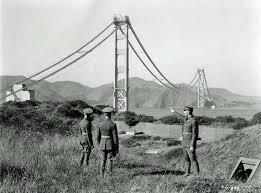 As his talent grew he went on to attend the San Francisco Art Institute and graduated with a degree in the fine arts. Harper's impressionistic oil paintings are incredibly unique and capture the majestic atmosphere of the landscapes they represent. He surrounds himself with the subject, painting each piece outdoors in the midst of the landscape, a practice referred to as "plein air painting." Unlike referencing a photograph or a still image of their subject in the studio, plein air artists are influenced by the constant movement and natural change of the environment. Artists have long painted outdoors, but in the mid-19th century, working in natural light became particularly important to the Barbizon school, Hudson River School, and Impressionists. The popularity of painting en plein air increased in the 1840s with the introduction of paints in tubes, where previously, painters made their own paints by grinding and mixing dry pigment powders with linseed oil. The act of outdoor painting from observation has been continually popular well into the 21st century with artists like Jeremy Harper. With each piece Harper continues this long practiced and skillful tradition of plein air painting and creates a stunning visualization that captures the beauty of our iconic California coastline. Spooner's Cove, Original Oil on Canvas 18"x36"
Cypress Sunset, Original Oil on Canvas 10"x30"
Path Through Paradise, Original Oil on Canvas 36"x60"
The Inspiration of Tim Huhn's "Five Dollar Day"
In an era of industrial revolution Henry Ford made a name for himself by introducing the assembly line and rethinking the culture of a business. The "Five Dollar Day" was a pioneering idea that focused on the livelihood of Ford's employees. It was a first step in realizing the value that motivated individuals bring to a business and the importance of developing a proud company culture. In 1913 Ford needed a workforce of 14,000 people, but with the harsh conditions of factory work and minimal wage earnings, Ford found employee retention difficult as he went through 52,000 people in just one year. In order to keep production on pace with the high demand of the Model T, Ford needed to make a change. Ford developed a plan that kept wages at the same $2.30 per day but offered a daily bonus of $2.70 to all employees who worked hard and maintained a healthy lifestyle outside of the workplace. The new Five Dollar Day dominated headlines all over the country. It's purpose was to improve employee satisfaction and maintain a functioning, motivated workforce. It represented a major shift in the way managers approached running a business. Rather than viewing workers simply as a business expense Ford realized that the success of his company depended on the success of every individual employee. Ford's revolutionary ideas changed the world. 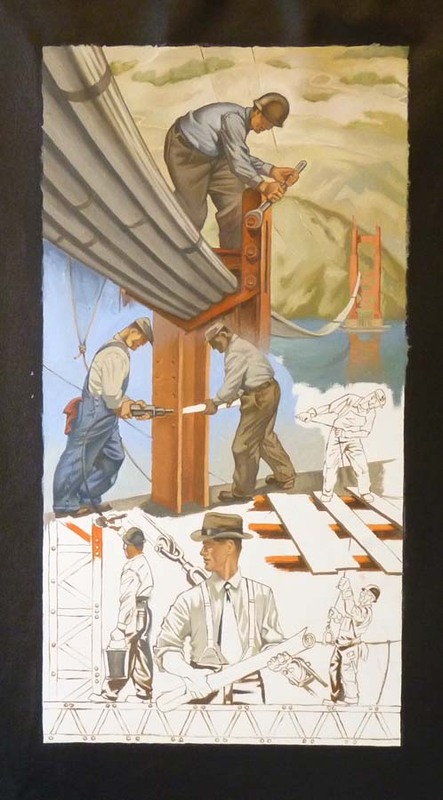 As Tim Huhn's Art Deco stylized murals are centered around the themes of hard work and achievement, Tim wanted to pay tribute to Ford, an American Titan that changed the landscape of industry forever. Tim's incredibly detailed and striking painting exemplifies the spirit of Ford's "The Five Dollar Day" and the optimism of American Muscle. For those of us that are drawn to Tim Huhn's art deco series, there's a freedom to this piece that speaks to the sense of hard-work and achievement, the idea of knowing what you're working for and not compromising. For those of us that see that there's always room for change and improvement in the world, we're inspired by Tim's art because in the face of great change there is most certainly a fear of failure, but we must intimidate fear with a strong and unrelenting work-ethic. This piece stands for something, it stands for the morality by which we work! Painted in 2005 and exhibited in Sydney Australia, this original oil painting on canvas by Catherine Abel has spent the past 12 years in a private collection here in California. Titled "Tea Late Afternoon" this original oil painting on canvas measures 40"x48". The painting is centered around the climate and culture of Summer in Sydney. In her signature style, Catherine wanted to capture the strong golden light of Australia paired with Australia's cultural dichotomy. The model was a close friend and neighbor of Catherine Abel's at the time. The cane/wicker chair she's sitting on is very Australian in style, the painting is complimented by Australian floral displays of the Protea flowers (that were in bloom at the time) and the small Jacaranda tree (purple flowers bottom right) a signature display of Sydney, this piece is the epitome of Tea on a Late Afternoon in Australia. Beyond the tradition of afternoon tea, there is a hint of Australia's British past too, hence the traditional tea cup and the Clarice Cliff pottery, an English Ceramic Artist active from 1922 to 1963. Steve Thomas has made a name for himself as America's most successful contemporary art deco illustrator by creating timeless images that are relatable to our own stories and pastimes. His work captures the ambiance of places we've been and the wonder of the places we want to go. But what also makes his work special and captivating to so many people is that he's maintained the tradition of great Art Deco Posters inspired by the iconic work from the 1920s. Steve Thomas' compositions, rich color combinations, and custom designed fonts stay true to the nature of historic art deco posters. We have had two ski posters by Steve Thomas of Lake Tahoe and Utah on display in our gallery and just released his third which depicts the beautiful Mammoth Mountain in California's Sierra Nevada. With the new release we wanted to look back and recognize some of the incredible, authentic art deco ski and winter travel posters that are still making headlines today. Christie's, a globally established art auction house, assembled an impressive collection of authentic, vintage winter destinations and ski posters from the 1920s and 1930s. At their "Ski Sale" event in 2016 some of their best lots sold for record breaking prices and we wanted to show off a few of our favorite vintage posters alongside Steve Thomas' newly released contemporary art deco prints. Star Wars ... if you have a pulse and breath oxygen you've probably seen the movies, have your favorite character, and do "the best" Chewbacca impression. If not, then you're that person who's been asked multiple times by people in disbelief, "Wait, you've never seen Star Wars?!" Well, the same could be said for the travel poster art of Steve Thomas, America's most distinguished contemporary commercial illustrator. It's hard to step outside and not see something created or worked on by Steve Thomas. Over the years he has produced artwork for America's National Parks, Clif Bar, Disney, and of course, Star Wars. Steve Thomas first began creating Star Wars posters in his iconic Art Deco style in 2007. They are witty, strikingly colorful, and perfectly capture the culture of the Star Wars universe. They bring a sense of timeless realism to this fictional world that makes you feel like you could simply plan a camping trip on Endor or catch a cruise to Tatooine on an Imperial Star Destroyer. From the original trilogy to the newest releases he's done it all! All of the artwork is officially licensed with Star Wars and Steve Thomas will once again be attending Star Wars Week at Disney World in January 2018 to sign and share his artwork!